The inaugural edition of the Abu Dhabi International Boat Show (Adibs), hosted and organised by Abu Dhabi National Exhibitions Company (Adnec), will kick off tomorrow and run till October 20. Held under the patronage of Sheikh Nahyan Bin Zayed Al Nahyan, chairman of the Board of Trustees of Zayed bin Sultan Al Nahyan Charitable and Humanitarian Foundation and chairman of Abu Dhabi Sports Council, the event is expected to attract as many as 20,000 local, regional and international visitors and provide a window into the fascinating leisure marine heritage of Abu Dhabi. Visitors can look forward to a ‘uniquely Abu Dhabi experience’, where state-of-the-art luxury superyachts will be displayed side by side with traditional fishing boats, abras, and a wide range of leisure marine and fishing equipment. 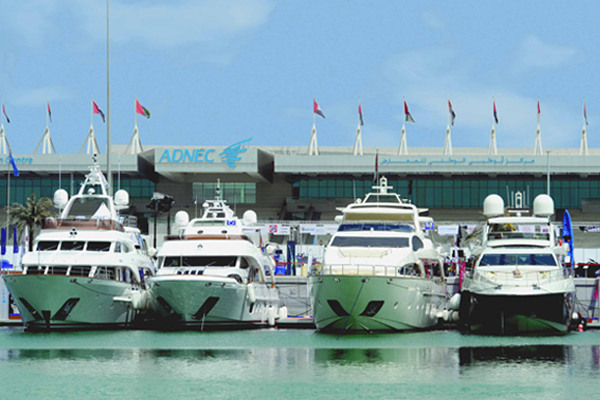 This first of its kind international boat show in Abu Dhabi to be held at the 31,000 Square meter purpose-built ADNEC marina will see the participation of over 270 exhibiting companies from 25 countries, with as many as 90 boats berthed at the venue. The show will be featuring the participation of countries like the UK, Canada, Australia, Singapore, Italy. Japan, German, France, Spain and the US, which are bringing in leading companies such as Sea Ray, World Panel Products, Bay Liner, Mastercraft, Boston Whaler and Bertram--showcasing state-of-the-art products and services to a discerning audience comprising high net-worth individuals, marine industry experts, water sports enthusiasts, families and casual visitors.